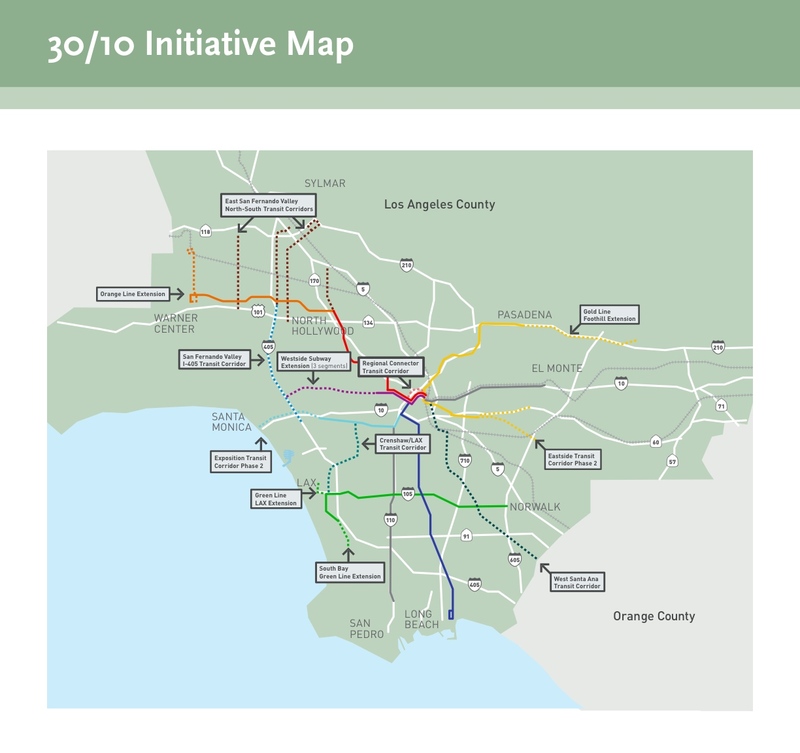 A map of the transit projects that would be accelerated under the 30/10 Initiative. Click above to see a larger image. The advocacy group Move LA has started an online petition for those who support the 30/10 Initiative — the plan to use federal loans and other financing to build a dozen Measure R transit projects in 10 years instead of 30. The 30/10 Initiative is official Metro policy. Move LA is headed by Denny Zane, the former mayor of Santa Monica and the executive director of the Coalition of Clean Air. He was instrumental in creating the political push to both place Measure R on the November 2008 ballot and ensure its passage. Move LA is supported by a wide array of environmental, labor and public policy organizations — as well as by Metro. We’ll check in from time to time to see how the petition is faring. If you support the plan, I encourage you to sign. Congressional approval is likely to make 30/10 a reality and anything that lets Congress know that constituents are watching this will be immensely helpful. If you would like to write or phone your representatives in Congress directly, here’s a list with contact information.